Winchester, MA, March 6th, 2019. Self Determination: Learn how you can take more control of the resources available through DDS, will feature Beverly McGovern, DDS Regional Housing Coordinator. RSVPs are required to 781-756-1804 or alex.nadworny@shepherdfinancialpartners.com About the speaker and the DDS. – Beverly McGovern is a DDS Regional Housing Coordinator. 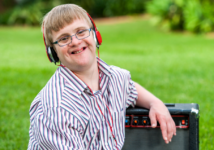 The Department of Developmental Services (DDS) offers three models of service delivery that allow people receiving services to have choices about how their services are provided. These options can offer people more decision making and control regarding the services they need – or don’t need – and how the services provided can best help them. Self Determination, Agency with Choice and Traditional models will be discussed Come learn how each of the service models work, the benefits and how to choose when you are allocated DDS funds.